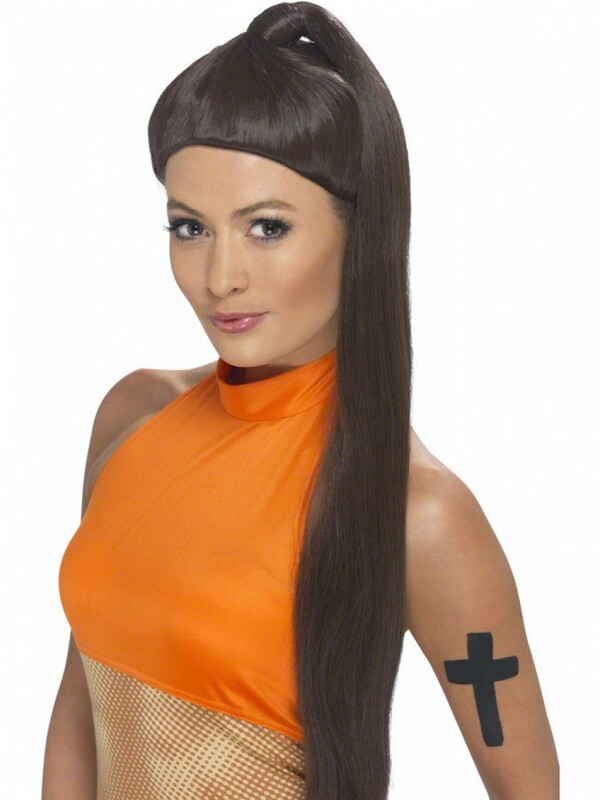 This fun dark brown wig with a sleek long ponytail design is an ideal finishing touch for a 90s Pop theme! A dark brown wig with a long ponytail design and fringe is perfect for a Pop Star theme or any fancy dress occasion. The wig is one size to fit most adults.